Bluestacks is an Android emulator built from the ground up for Windows. 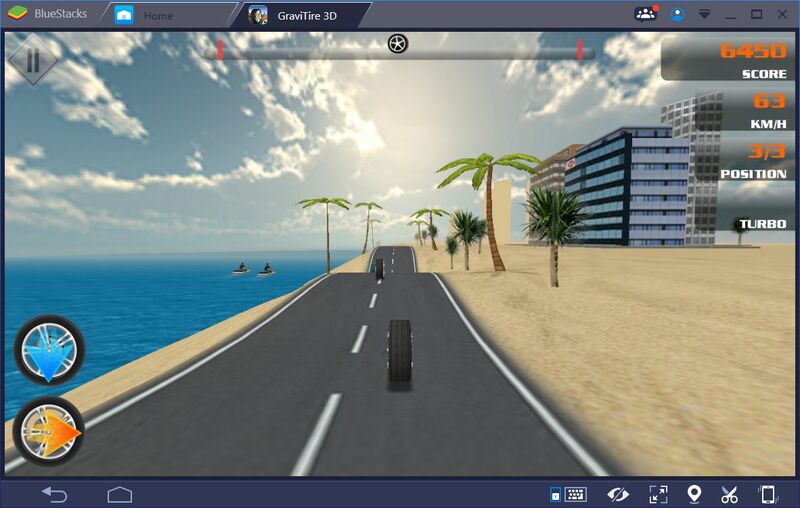 It has been designed to allow Windows PC users an opportunity to play mobile games from the comfort of their desktop. 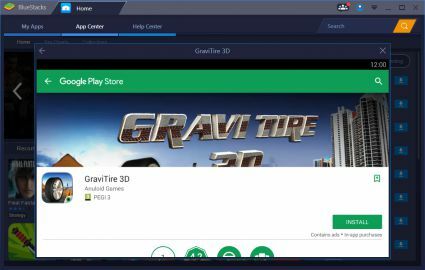 It can play any app or game from within the Google Play Store, but it will recommend some of the best games to play through its own interface. 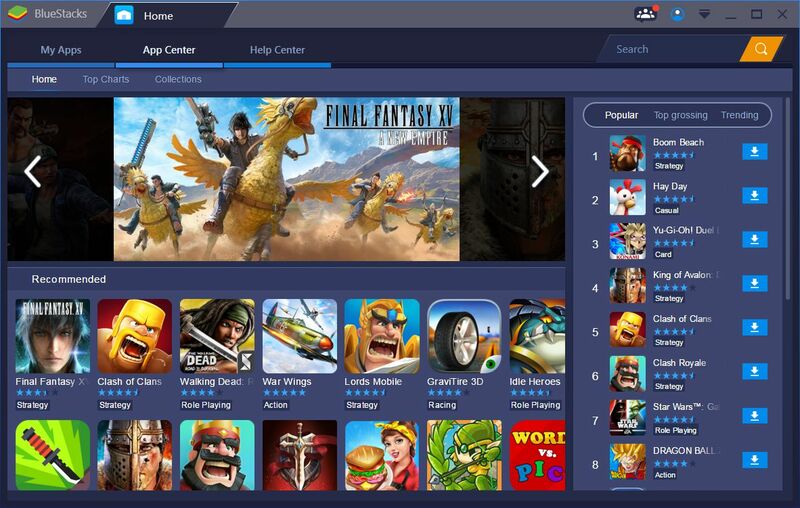 As soon as you start Bluestacks for the first time, you'll find yourself within this app store-like interface. 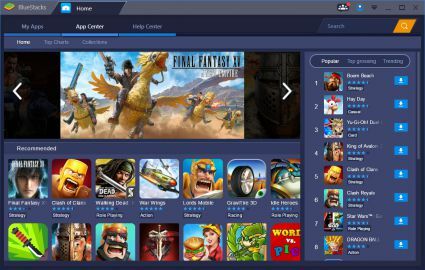 You can scroll through categories, find top picks, or click to download the games most played by other Bluestacks users. If you click on any app, you'll be taken to the Google Play Store and you can then download it with the click of a button. Alternatively, you can browse through the Google Play Store directly to find apps through there, instead of through the Bluestacks app store. 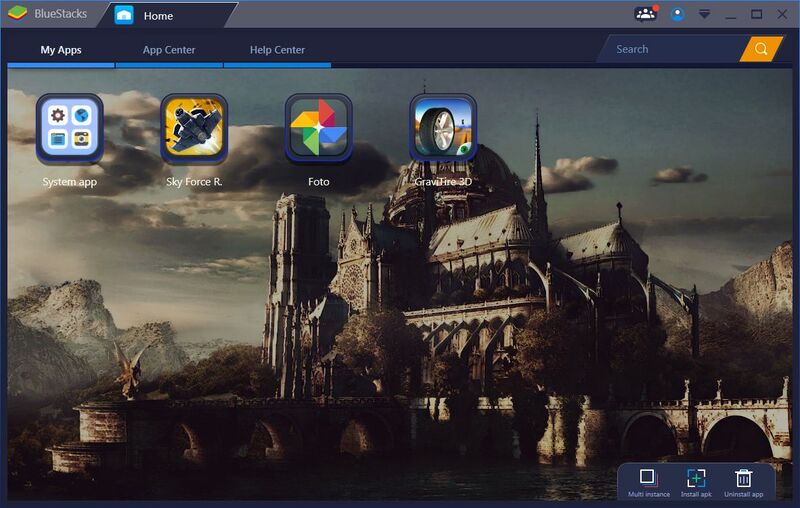 Once you have downloaded an app, you can access it from the 'My Apps' tab found at the top left of the client. You can also use this space to install .apk files from third party sources. There's also a useful feature here for running multiple instances of the client. 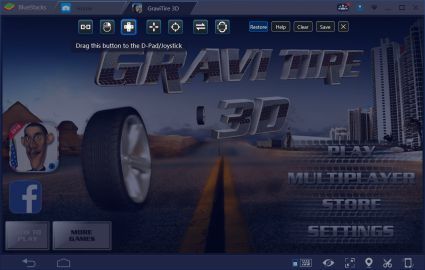 This allows you to run multiple apps at once. Apps can be either the same or different. Once you open up an app, you are given a new set of tools. 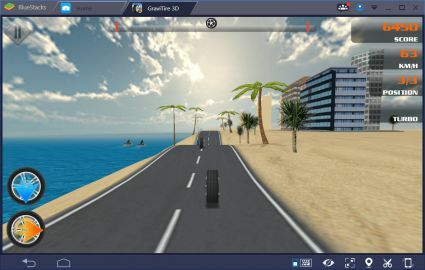 You can control the app by clicking on the on-screen buttons, or alternatively you can use the available tools to bind your keyboard to different on-screen buttons. It's very easy to get set up. We found that performance on Bluestacks was decent in most cases, but it didn't quite perform as well as competitor Droid4X did, on low end hardware. Finally, whilst the program is free, you're forced to deal with advertisements unless you're willing to pay a monthly subscription.